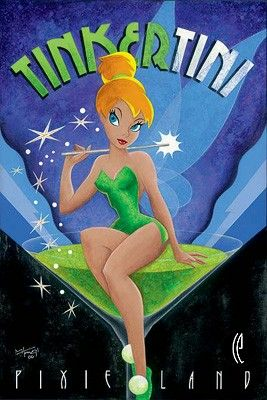 Mike Kungl Handsigned and Numbered Limited Edition Embellished Giclee on Canvas:"Tinkertini"
About the Artist: After completing art and design school M Kungl applied his graphic design education to achieve a successful career in advertising. Spending nearly two decades creating award winning logos, package design and illustration for companies such as Panasonic, Johnson & Johnson, Toshiba and Nissan Motors, Kungl then focused on fine art full time. The Miami honor is just one of many in a succession of developments that highlight Kungl�s growing reputation as a recognized collectible artist across the country and around the world. In addition to strong domestic sales of his images, Kungl�s works are rising in popularity throughout Europe, Japan and Australia. His work is featured regularly in magazine articles, how to books and television shows.